If you send a referral our way and we end up hiring him/her, we’ll give you a $1,000 Competitive Cyclist gift card. It’s pretty simple: When someone applies, have them include your name as a referral. That’s all the paper trail we need. For somebody who can code, who digs continuous delivery, and who loves to ride bikes (and ski), it gets no better than Park City. – Tis the time of year for beach reading, so I recently dug into what I anticipated to be my lightest book of the year, “The Cycling Professor” by Team BMC stalwart Marco Pinotti. It lived up to expectations. Part of the book’s problem is the dubious quality of its translation. Imagine taking any random Italian book and converting it to English via Google Translate. Nuance is replaced by literalness. 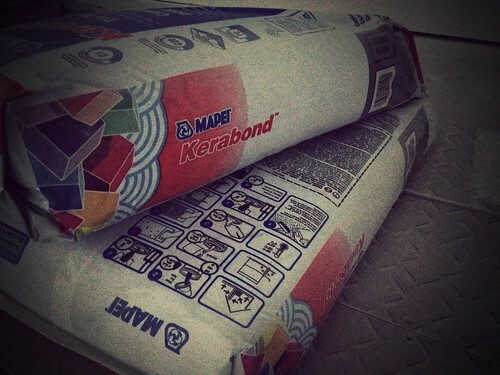 Making things more painful is the structure of the book. 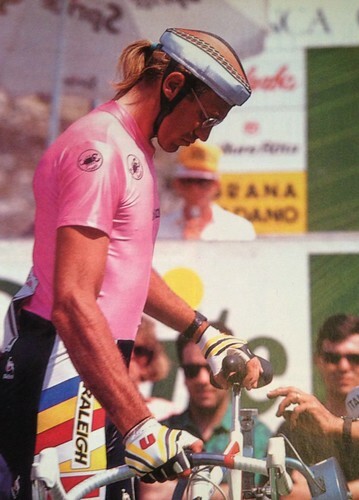 It’s a chain of 200-400 word meditations on random issues about Italy, the evolution of pro cycling, and noteworthy events in Pinotti’s career. While I’m all for creating narrative from a series of seemingly unconnected scenes (when done well, that’s called literature), the woodenness of the translation combined with the often arcane topics (e.g. the corrupt management of municipal taxation in Italy, the evolution of roadway infrastructure in Bergamo) often makes for tough reading. That being said, some sections are sufficiently engaging that it’s worth slogging through the chaff. 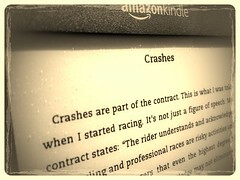 Pinotti’s best includes anecdotes about eccentric characters in the peloton. 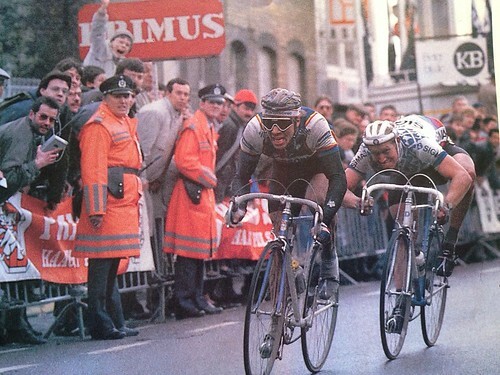 Hearing about the wintertime four-hour roller sessions fancied by Zbigniew Spruch and Jan Svorada are reminders of what it takes to develop Spring Classics sharpness. And Pinotti’s lavish praise for Chris Horner is the lengthiest and most fascinating piece of writing in the book. – This is the best single webpage on the entire Internet. It is now my homepage. – Speaking of old school, have you seen this bike collection? 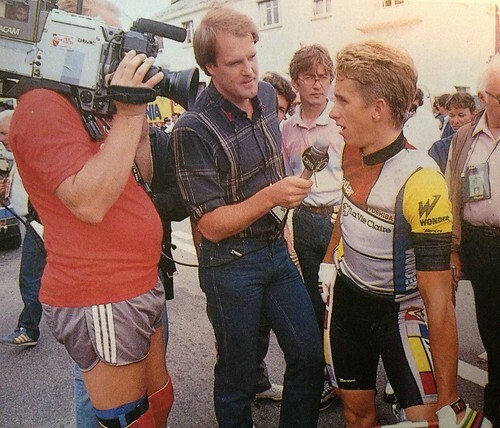 – Do you remember the Pinarello KOBH? 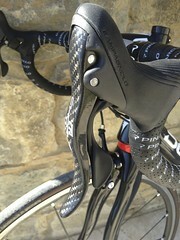 It debuted in 2010 as a Dogma-caliber bike tailor-made for nasty-cobbled-gravely roads. If I recall its specs right, it was built with longer chainstays and a longer fork rake, resulting in a plusher ride that comes with a longer wheelbase. 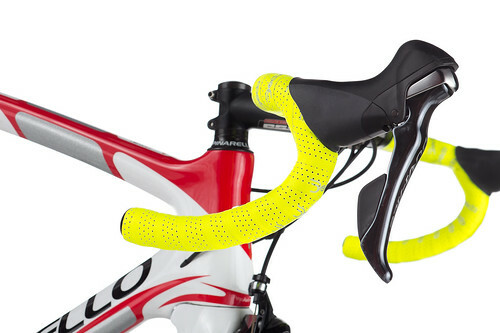 Its skinny, conventional seatstays are more rough-road friendly than the Dogma’s curvy stays. As a bonus, it could accommodate fatter tires. 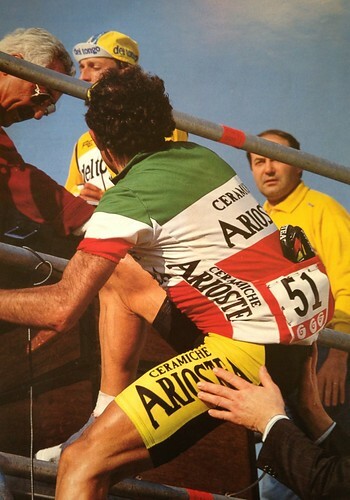 Its debut came that year under Team Sky at Paris-Roubaix. It’s a fact that bike shop nerds dig pavé-specific bikes. But sadly, credit card-wielding retail bike customers don’t share their fervor. 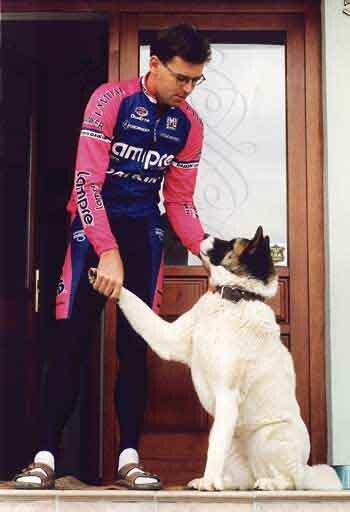 Sales of the KOBH went nowhere, which is probably why going into the 2011 season Pinarello rebranded the bike as the “Dogma-K”. Pronouncing it “Dogmac” in the shop was fun, but nothing memorable sales-wise happened with the model. The American Pinarello importer, Gita Sporting Goods, learned its lesson with the KOBH. It was selling Dogmas and Dogma 2’s hand-over-fist. There was no need to cause confusion by adding another Dogma to its fold, particularly when its distinct features were seemingly deemed unimportant by buyers. So they chose to not bring the Dogma-K into the US and the memory of the KOBH faded from the American cycling consciousness. Then, through a happy set of circumstances, I found myself outside in Italy a few weeks ago. The great guys at InGamba Bike Tours offered to loan me a bike during my stay. And, much to my delight, it turned out to be a Dogma-K. I quickly proved my credentials as a veteran bike shop nerd. I loved it in theory, and I loved it on the road. 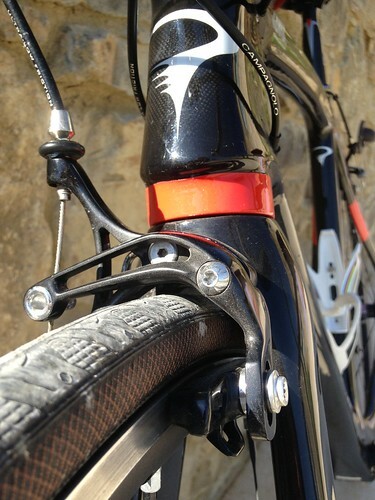 Modern day race bikes have hummingbird-like qualities. They’re dainty, jittery things made to be light, quick and hyper-agile. The Dogma-K possessed plenty of that, but magically mixed in was something more industrial, a truck-like sureness on the strade bianche. My fear was that extra stability would come at the expense of handling. 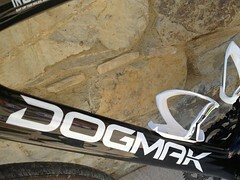 I worried that the Dogma-K would be sluggish, but under power it has all the kick of a standard Dogma. For an all-purpose, all-road, all-condition bike, I couldn’t imagine a better choice. It’s a treat. 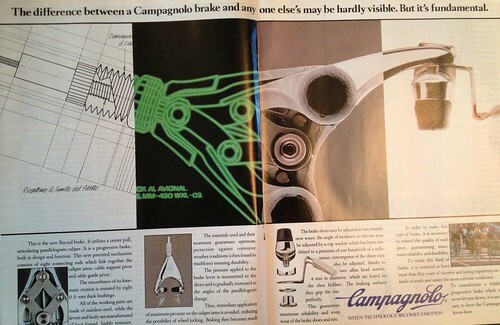 Two other quick observations: First has to do with Campagnolo 11 speed shifting. While I wouldn’t argue that it’s superior to Shimano 11 speed, where it shines is in the ergonomics of the levers themselves. Both in the hoods and the drops, your fingers mate to the lever curvature with a biological level of naturalness. It’s remarkable. Second has to do with 25c tires. As a lifelong 22/23c guy, I fully expected the 25’s I rode to feel like pigs. No way. On modern roads I felt no discernable loss of speed, yet on descents and crappy roads I seemed to have traction that let me crank up the aggression. Why do we always default to 23c tires? Next time I’m tire shopping, 25c it’ll be.